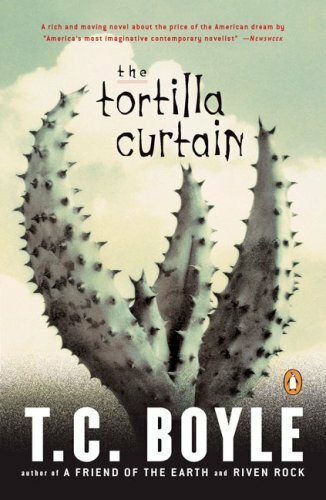 A Literary Odyssey: Thursday Treat #14: The Tortilla Curtain by T.C. Boyle. Thursday Treat #14: The Tortilla Curtain by T.C. Boyle. I am fascinated by Mexican and Chicano history and culture. In college, I took a lot of Mexican history classes in fulfillment of my history degree. As a matter of fact, I earned a specialization in the subject. For one of those classes, one of our required readings was The Tortilla Curtain by T.C. Boyle. The story centers around two illegal immigrants who are struggling to survive in a valley filled with other immigrants and wealthy citizens. Contrasted with their struggle is the story of a wealthy family who are sick of seeing Mexicans in their town. The novel explores the relationship between illegal immigrants and legal citizens. I have my own personal views on the subject, which I won't go into, but the story presented may make you question your own thoughts on the subject. Do illegal immigrants provide necessary labor in the United States? Besides the powerful political message, the novel is beautifully written. The struggles of the two Mexican immigrants is heart-wrenching. It is even more difficult to realize that their story is also the story of thousands and thousands of people who are living in the United States illegally. Their pain and heartache is real. I should mention I have not read any of Boyle's other work, although I have been meaning to. But this is a stand-alone novel I would recommend to anyone, anytime. Fascinating! It's such a complex issues with so many sides. I'm a first generation American so I like immigrant tales. 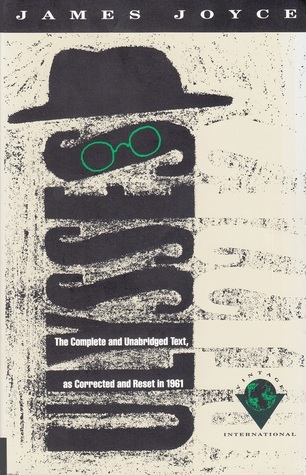 I read this one in college too--it was really thought-provoking. I live in California, so I really could see the reality of the characters and their lives--the POVs in the book both exist where I live. It certainly wasn't a happy book, but a very good read nonetheless. Seriously, I adore your blog! I am mexican, and for me is amazing to know when forgein people think about my country. I want to read that book, but I find it nowhere. I just finished this book and I loved it. I'm going to teach it this spring so it is nice to hear from someone who read it for a class. Boyle is great. Dip into the short stories. 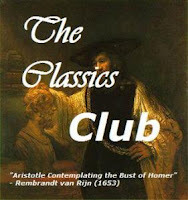 I have a post on my blog about "After the Plague."